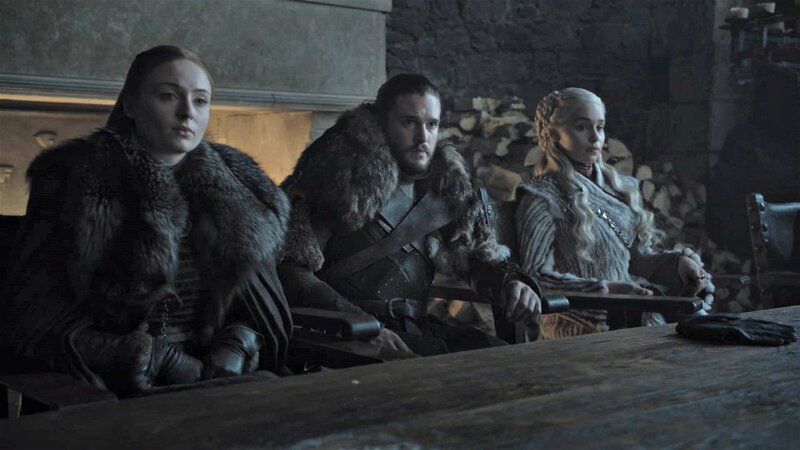 After a two year hiatus, weeks of Hollywood hype, and seven seasons of culturally paramount television, Game of Thrones premiered its eighth and final season last night with the aptly named episode Winterfell. And it kicked off brimming with throwbacks, character reunions, exciting first-time meetups, and clever parallels to the show’s pilot episode. While many of these came as cringe-worthy attempts to pander to fans’ memories of their favorite moments in the show, others established an important theme of cultures clashing—and the obstacle it will become when unity and collaboration is most essential for the preservation of the world. As its title suggests, the season premiere took place almost exclusively in Winterfell, where nearly every living character worth rooting for has congregated to prepare for the war against the White Walkers. The theme of colliding worlds took spectacular form as Daenerys’ two dragons flew over the city walls, inciting panic among the northern peoples. This happened not two seconds after Jon had apologized to Dany for the northerners’ trepidation for welcoming foreigners into their home. Judging by her smirk as those same people fled at the sight of her dragons, Dany will likely continue to enjoy the fear her presence causes this season. Following this opening scene, we were treated with an assembly line of character reunions and first meetings. The goal was clearly to deliver a massive catharsis trip borne on these meetups. At points, these moments hit home, thanks to some incredible, though succinct, performances from these now seasoned actors. Watching Sansa and Dany exchange snark from either side of Jon was particularly enjoyable. Of all the show’s excellent performances, Sophie Turner’s transformative performance has stood out over the years, and managed to reach a new height with four brief scenes. Where a meek, weak-shouldered teenager once was now stood a strong wardeness with a piercing analytical stare and a bite in every word she speaks. Of all the stars of this episode, few have suffered the horrors that Sansa has, and it shows in her hardened demeanor. Similarly, Emilia Clarke has long mastered her role as the liberator-turned-conquerer. I expect watching Daenerys opposite Sansa will be some of the most exciting drama the show will have to offer this season—aside from the half dozen large-scale battle scenes promised by the producers. Other character meetups fell flat thanks to cheap one-liners and cheesy throwbacks. Gendry calling Arya “M’lady,” Tyrion taking cheap shots at Varys—these nods, when thrown together all in a single episode, put the show at risk of becoming a self-parody. Getting these characters caught up and acquainted/reacquainted needs to happen before we get to the battles; I just wish—as I have with the last few Game of Thrones seasons—more time was spent on these interactions. There was a time when that’s all the show was about. While I didn’t take to the throwbacks thrown in every character interaction, I was a sucker for those placed in the episode’s plot. In a not-so-subtle attempt to reflect the show’s very first episode, Winterfell began with the arrival of a King and Queen in the northern city. Sansa, Lady of Winterfell and potential Wardeness of the North, greeted Daenerys at the gate with a cold “The north is your’s, Your Grace,” just as her father did King Robert in Winter Is Coming; the king, Jon/Aegon, visited the crypt to pay his respects to Lyanna Stark; and the episode closes with a shot of the same two characters as the pilot: Jamie and Brann. It was a neat trick, highlighting how far these characters have come since the very beginning (and the miracle that they’ve made it this far!). No doubt, some will take this as a bad omen for Jon, but I saw it just as a clever way (albeit not too original) to start the show’s final season. 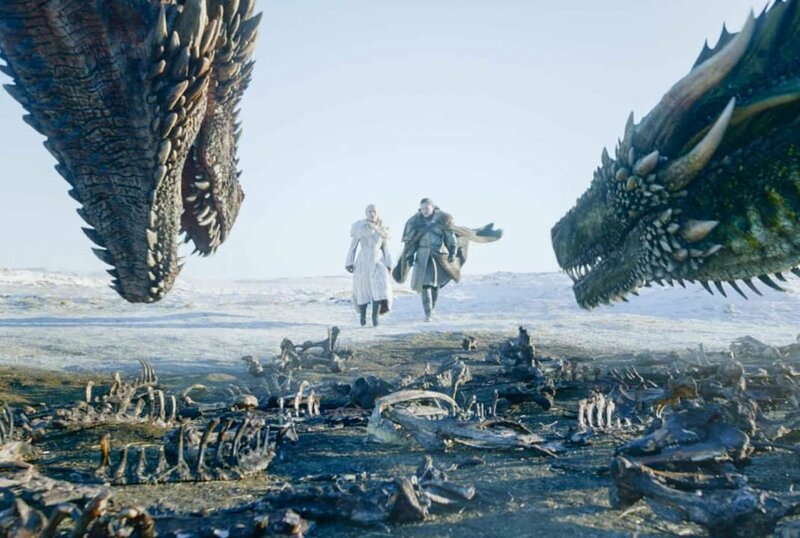 I wasn’t too impressed with season eight’s set-up episode, rife with its one-line homages and rushed character interactions, but its themes promise that this season will amount to more than the biggest battle scene in all entertainment. PS4 / XboxOne “ACA NEOGEO REAL BOUT FATAL FURY” release!